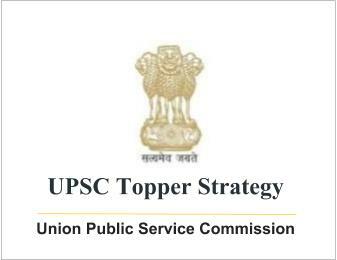 UPSC Topper Strategy for History Optional by Surabhi Malik (Rank-51) | IAS EXAM PORTAL - India's Largest Community for UPSC Exam Aspirants. This is a subject where strategising becomes paramount; since the expanse of the syllabus itself appears insurmountable. Since you are preparing for exam purposes here and your primary objective is not, presumably, the ‘love of learning’ , it becomes important to begin, as I like to put it, backwards. It’s best to analyse the question papers spanning at least a decade; questions before that are too simplistic to have a fair chance of appearing in the same form again. So, I would suggest compartmentalising questions based on chronology. That gives us a fairly expansive scale of topics to focus on. Second, when preparing a particular topic from a book or notes, it’s important to cover it in entirety– i.e. think of all possible aspects of a situation that you can be questioned on. Apart from facts, focus on ‘whys’– why civilisations crumbled, how different was their end to another’s end. ‘How’ religious policies contributed to administration, art and architecture. Focus on analytical questions, but be clear about facts. Only when there is clarity of facts relating to different periods can you handle a question that seeks to highlight the differences and similarities therein. You must be clear in your head what the basic differences between different civilisations are. This suggests a panoramic view of history along with some microscopic treatment. Last year, there were some descriptive questions like Khilji’s market reforms, etc– and these are very standard questions that serve as bonus for an exam-taker. Don’t be caught off-guard on such questions. For books, I began with ‘Modern India’ by Bipin Chandra, supplemented by ‘India’s struggle for Independence’ by Bipin Chandra, Mukherjee, Panikkar. Spectrum’s book on Modern India that people use for the prelims is also a storehouse of facts! For Ancient India, I referred to ‘Ancient India’ by R.S. Sharma (a wonderfully concise book where every single word is important) and supplemented sparsely by ‘The Wonder that was India’ by A.L. Basham. Romila Thapar’s treatment of ‘Ashoka’ is venerated in Indian historiography. For Medieval India, I found Satish Chandra’s two volumes on Medieval India quite sufficient. Apart from this, another famous standard text is ‘An Advanced History of India’ by Majumdar, Raychaudhuri and Dutta. Personally, I got some history notes from Mr. Hemant Jha in Delhi. I found them very useful for filling in important gaps in my knowledge. He covers different aspects of topics and questions remarkably well, with regard to extra information and facts. Be aware though, you should be reading standard texts for improving your answer-writing abilities. As a part of my strategy, I covered the Indian History very exhaustively and was a little selective for World History. I do not necessarily recommend this, since it is generally thought that the questions on World History are more straightforward than questions on Modern India. I did so because my comfort level with Indian History was greater and I felt confident of being able to tackle tricky questions. In my selective studies on World History, i followed Mr. Hemant Jha’s notes as well as ‘Modern World’ by K. Krishna Reddy. There are other better books, you should google and look some of those up. I focussed on European History and the Revolutions in particular as I saw a repetition of questions in these topics.